We Heard the Bells, narrated by award-winning actress S. Epatha Merkerson (Law & Order), explores the personal and family experiences of a diverse group of Americans during the influenza pandemic of 1918. 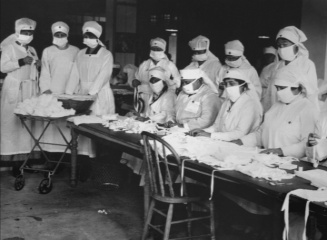 History unfolds as survivors of the pandemic tell their stories. 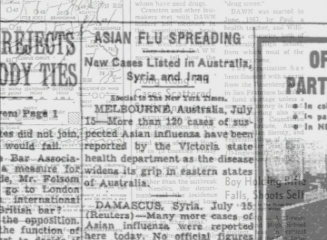 Their memories frame the key questions that still drive the search for answers to help us weather the current H1N1 pandemic and future flu pandemics. The pandemic of 1918-1919 occurred in three waves. The first wave occurred when mild influenza erupted in the late spring and summer of 1918. 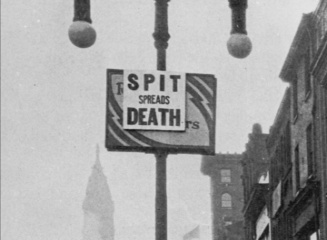 The second wave occurred with an outbreak of severe influenza in the fall of 1918, and the final wave occurred in the spring of 1919. We Heard the Bells, narrated by award-winning actress S. Epatha Merkerson (Law & Order), explores the personal and family experiences of a diverse group of Americans during the influenza pandemic of 1918. History unfolds as survivors of the pandemic tell their stories. Their memories frame the key questions that still drive the search for answers to help us weather the current H1N1 pandemic and future flu pandemics. The pandemic of 1918-1919 occurred in three waves. 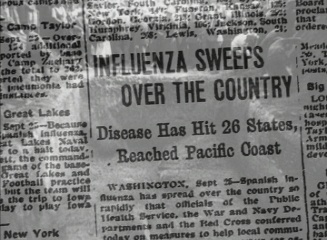 The first wave occurred when mild influenza erupted in the late spring and summer of 1918. 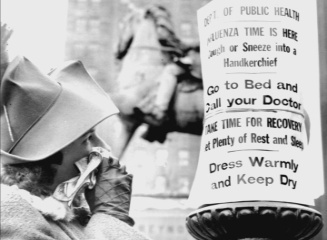 The second wave occurred with an outbreak of severe influenza in the fall of 1918, and the final wave occurred in the spring of 1919. Maria Prats Gomez, whose family moved to El Paso to escape the turmoil of the Mexican Revolution. Ninety years later she still remembers the fever dreams she had when she was ill with the flu, and how the flu pandemic changed the city. Annah Elnora Thurber, who survived the influenza in January 1919 in a farmhouse with no running water in Sequoyah County, Oklahoma. Annah's mother, pregnant with her fourth child, cared for eight very sick family members. Florence Parks, who became ill with the flu while living in housing for Bethlehem Steel's African-American workers. Florence praises the brave woman in her community who took it upon herself to care for her sick neighbors, and somehow managed to avoid coming down with the flu herself. An estimated 500 million people, one third of the world's population (approximately 1.6 billion at the time), became infected. There were few communities that were sheltered from the waves of deadly disease that swept around the world. 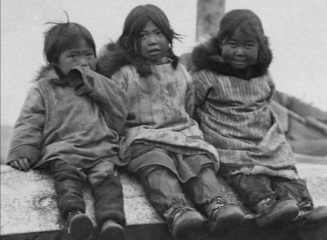 The pandemic even spread to the Arctic, and to remote Pacific islands. This film has a runtime of 56 minutes.